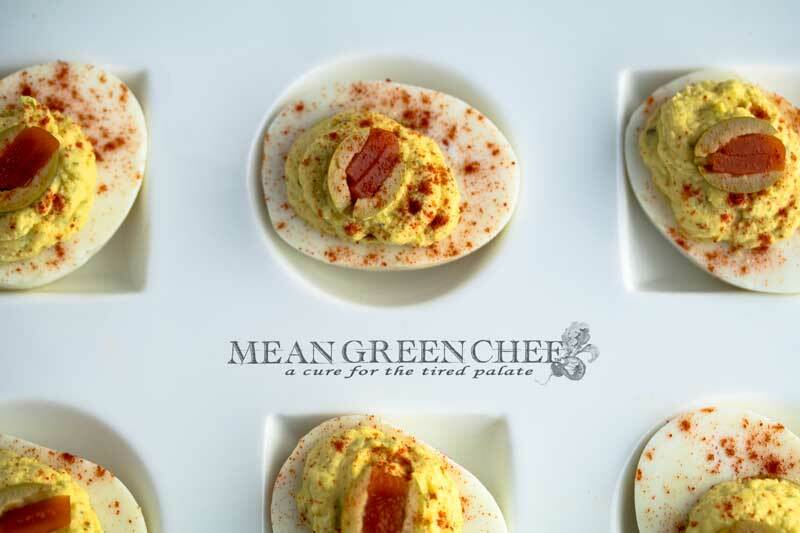 Classic Deviled Eggs, straight from our kitchen and ideal for parties of any size. We add an extra pop of umami with a dash of Worcestershire sauce that deepens the taste of these flavor bombs. We prep these awesome appetizers in the Instant Pot to get Perfect Hard-Boiled Eggs. And they peel like a dream! If you don’t have an IP or pressure cooker, get one! But for now, you can cook them up on your stove top. Place eggs in a single layer at the bottom of a saucepan. Cover the eggs with water so they are covered by an inch to two inches of water. 12 eggs should be covered by 2 inches. Add a teaspoon of white vinegar and a 1/2 teaspoon of salt to the water, which makes the eggs easier to peel. Heat the pot on high heat and bring the water to a full rolling boil. Turn off the heat, keep the pan on the hot burner, cover, and let sit for 10-12 minutes. After 10 minutes pull an egg, run under cold water, peel, slice and check for doneness. If the egg isn’t cooked enough cook the remaining eggs for another minute or two. Drain the water from the pan and run cold water over the eggs to cool them quickly and stop them from cooking further. If you are cooking a larger batch of eggs, remove them with a slotted spoon to a large bowl of ice water and allow to sit for a minute. Peel eggs under slow running water. Hard-boiled eggs can be stored in the fridge for up to one week, peeled or unpeeled. If you’re not a fan of olives, top off your eggs with any number of components. How long can I store deviled eggs? We always make these Classic Deviled Eggs a day ahead. Not only does it allow for the flavors to blend well, but it’s one less thing to worry about when you have guests coming. You can make and store them up to 2 days in advance, just be sure to keep them tightly wrapped with plastic wrap. Please note: The measurements in this recipe can be adjusted to taste. Cut hard-boiled eggs in half lengthwise, toss yolks into a bowl and arrange whites on a serving platter. Add the 2-inch chunk of celery, and shallot to a food processor. Pulse twice to get a coarse chop. Toss in the egg yolks, mustard, Worcestershire sauce, mayo, horseradish, smoked paprika, hot sauce, vinegar, and pickle relish. Pulse the food processor until the yolks become silky and airy. Taste. Season with Kosher sea salt and fresh cracked black pepper. 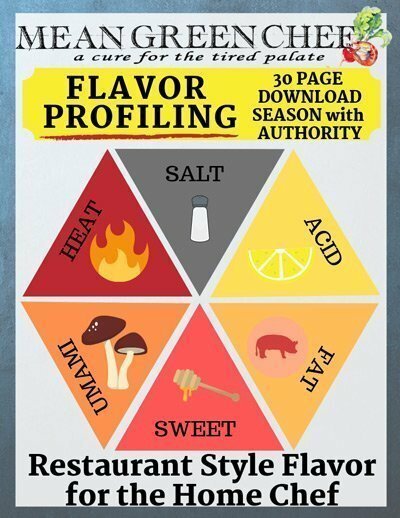 Taste again, season until you are happy with the flavor. Fill a piping or quart size Ziploc bag with the yolk mixture. If you’re using a Ziploc, snip a small corner of the plastic to allow piping. Pipe in all the yolk mixture into the hollowed out egg whites. Top with sliced green olives and a sprinkle of smoked paprika. Or with any combination of toppings you desire. Wrap tightly with plastic wrap and chill overnight or for at least 2 hours. You can make and store them up to 2 days in advance, wrap with plastic wrap. We hope you love our Classic Deviled Eggs, be sure to check out our Instant Pot Hard-Boiled Eggs to make this recipe fast and easy. You’ll also find the key to making lovely soft boiled eggs!